As we prepare for Christmas weekend there was no cut-back in preparations for this weekend's services! Milo lead us in a great time of celebration as we sang Christmas songs and then as Pastor Dave taught us things we've never considered before and we all saw Christmas in a whole new light...messy! Shawn, Michael and Streeter took Drummer Boy to a whole new level! 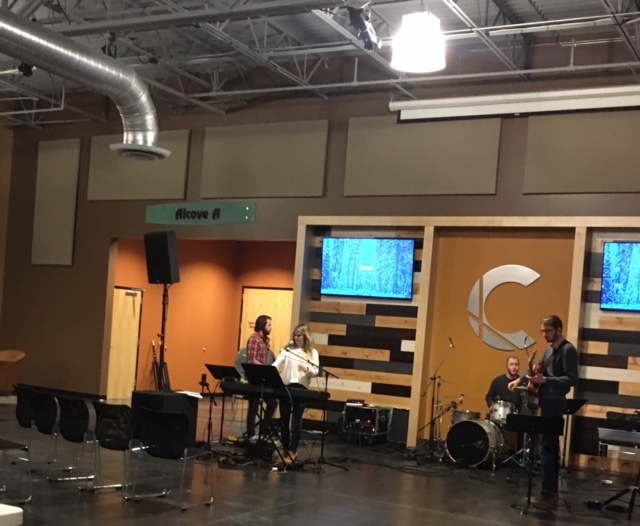 Our Young Adults set up their Christmas service in our lobby in anticipation of a great night of celebration and an open Coffee House with refreshments! I hope to see you at one of our 5 Christmas Services next weekend!